Last edited by Jason; 07-17-2012 at 05:36 PM. Last edited by Jason; 02-11-2012 at 12:38 AM. Deepak Dev is a native of Tellicherry in Kerala, grew up in Dubai. He studied at the Indian High School there and was learning Indian Carnatic music ever since his childhood days. Later his interest switched mainly to the keyboard. He focused a lot on programing music and started working with reputed musicians like A.R Rahman, Shankar Ehsaan Loy, Sandeep Chowta, Vidyasagar, Anu Malik, M.M. Kreem, Mani Sharma, Adesh shrivastav. He started his career in Malayalam movies with Chronic Bachelor directed by Siddique (of Siddique-Lal fame). He says in an interview that he had almost given up on his musical career, soon after completing his graduation from Sacred Heart's College, Cochin, as nothing exciting was happening in my career. But, as fate would have it, every time hetried to sell off his keyboard, it always came back to him, as any guy who bought it from me with a mere small advance could never pile up the money that they had promised me for that keyboard and ended up giving it back to me. And soon after the third time it happened, the Siddique-Lal duo called me to join their group for their shows in the United States. They wanted me to render some music to fill the time in-betweenprograms. As I got a chance to visit America, my intention was to get some job in the States likemarketing, sales or anything other than music. During that time Mr.Siddique heard my composition and told me that 'I have good talent in music and I must take music as my career'. Eventually, it was those words gave me courage to take music as my career. After that I came back to India and joined A.R Rahman's troop, that was in 1999. After few years I met Siddique and he asked me to compose music for his movie 'Chronic Bachelor', my first film" recalls Deepak. 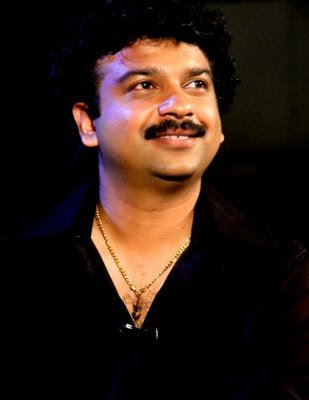 Deepak Dev has a very different style among the Malayalam composers. His sound designs and music production are of highquality and always have an intentional class with a magical touch of perfection. His signature style can always be seen in any of his songs. The usage of 'the acoustic guitars', the favorite instrument in his songs has been a new trend setter style in Malayalam music which is exceptional. Even the way he creates simple melodies out of just a piano is widely appreciated. Last edited by Jason; 08-25-2011 at 07:26 PM. thnx guru.. edhinte remix version aanennu thonunnu august 15 il use cheydhirikunnadhu..
btb modanmarude ok anumadhi kittiyettundallo alle.. allengil ee thread delete cheyyan ready aye irippundayerikkum..